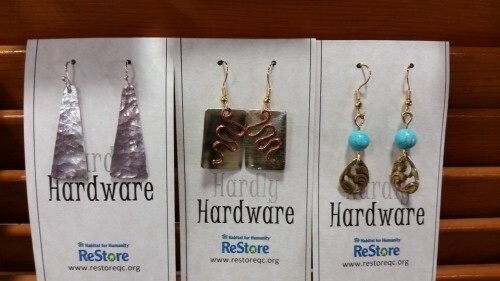 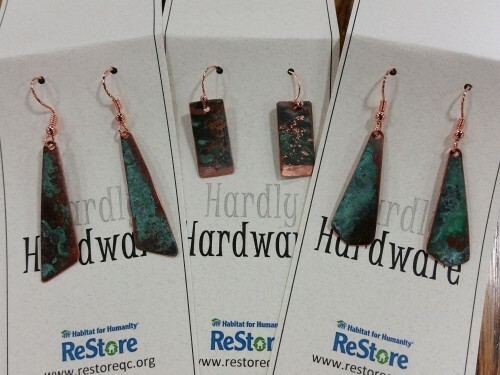 The ReStore has an exclusive line of Hardly Hardware Earrings. 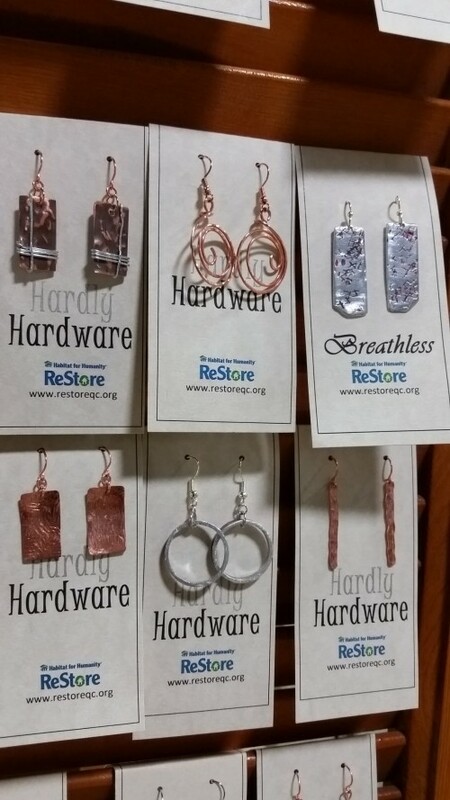 Handmade, with at least 1 piece of hardware or recycled metal found at ReStore. 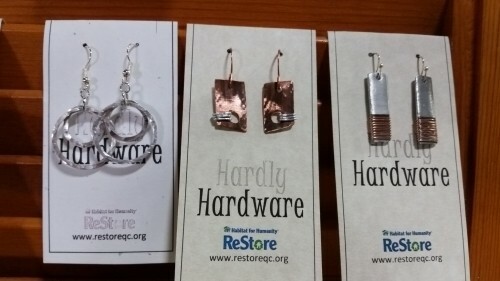 These earrings are a great gift for the recycler.